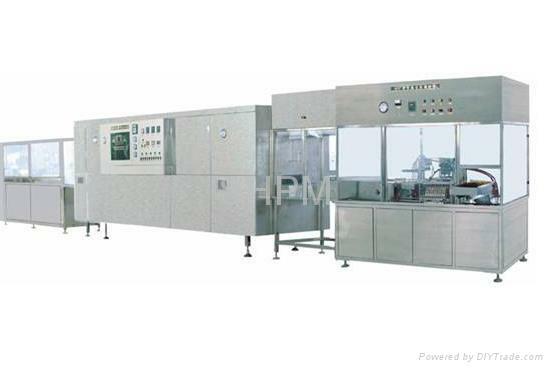 The machine is mainly applied to fill eye drop for circular plastic bottles and glass bottles made by various material. It is positioned and put cap and put cork by dividing plate supplied by high-accuracy indexing mechanism with cam dividing. 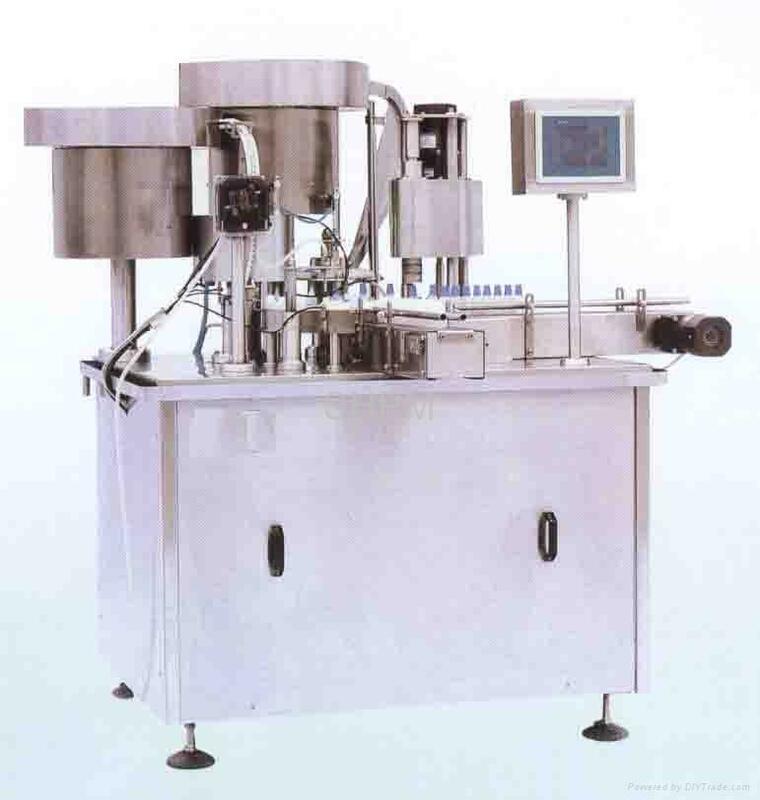 Cosine acceleration can drive makes cap-clamping stations evaluate; Constant torque cap-clamping stations are adopted by this machine; Peristaltic pump be used for separating quantitative liquid, touchable screen control whole procedure. 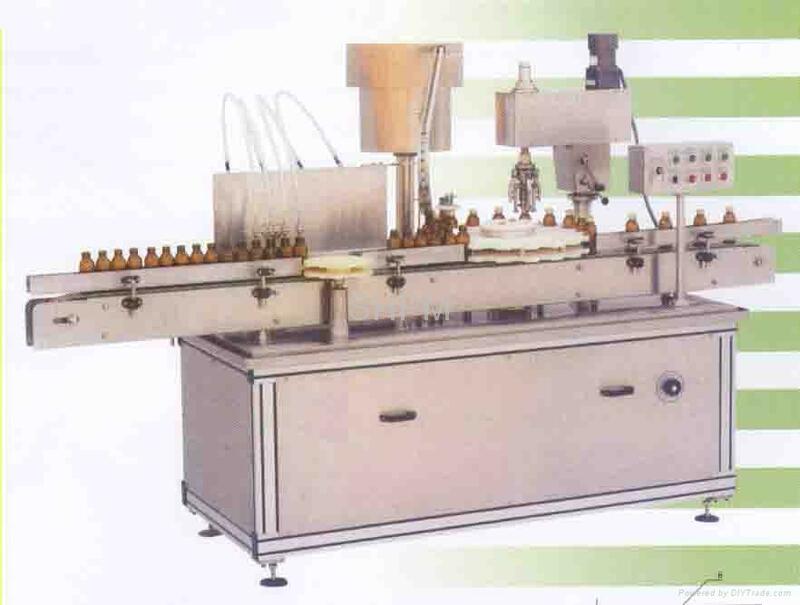 Overall operation of this machine is responsive with no bottles left unfilled and unclamped corks and no corks left unclamped caps. It has such advantages as accuracy position, stable transporting device, able to protect caps, accuracy measuring and simple operation, etc.